Be lulled to sleep by the sound of the breaking waves and wake up to wildlife. Enjoy the company of the local monkeys every day of your stay as you relax on the veranda. 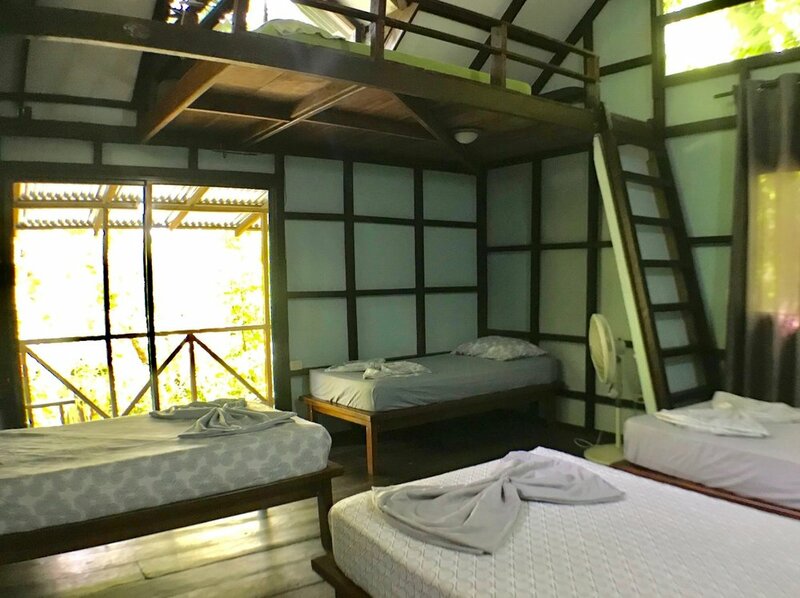 Luz en el Cielo is your home in the jungle: the town of Montezuma is just around the corner; the famous waterfalls a short hike away; a wildlife preserve, the best surfing beaches in Costa Rica and a National Park all a short driving distance from the lodge. Whether you crave ocean, jungle, or a hip, artistic town, Montezuma is the place for you. Luz en el Cielo B&B provides guests with an unforgettable, homey, welcoming, experience in Montezuma. From the moment you arrive to the moment you leave, you will be making memories to last a lifetime during your stay at Luz en el Cielo. A step up from Basic. Wake up amoungst the trees.